This superb piece of bathroom engineering hardly even looks like a showerhead. 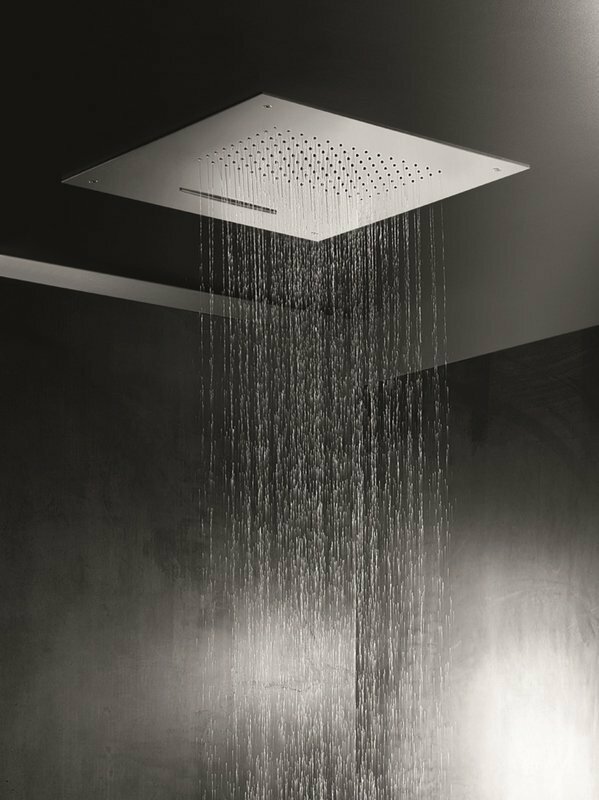 The design has been created to be fitted into a false ceiling, creating a flush-mounted plate that delivers a wonderful rain-like shower almost by magic. Bathers may choose from a solid cascade of water or a more gentle though still powerful shower stream.